Elizabeth City State University students are putting a serious dent in hunger. 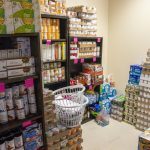 The ECSU food pantry is not only helping to feed students in need, but also helping the American Red Cross with hunger relief efforts across the state. Earlier in the 2018 fall semester, ECSU students joined forces with the Food Lion Feeds “Collegiate Challenge” campaign, mobilizing colleges and universities to address hunger in their communities. While the ultimate goal of the campaign is to alleviate hunger, the university that raises the most food will also be awarded money that will go toward more hunger relief programs on campus, according to ECSU kinesiology professor and program sponsor, Dr. Jennifer Brown. Dr. Brown says to date, the Viking Food Pantry located on campus has served more than 140 students since it opened two months ago. That is, she said, using food that has been donated to the food pantry and collected by ECSU students. “I am thankful to everyone for their efforts to support the food pantry,” said Dr. Brown. Brown says students who benefit from the food pantry are also able to take advantage of programs to teach them how to eat on a budget. An expert from the North Carolina Extension Office recently came to campus to show students how to prepare meals using items found at the pantry. “You can eat cheap, but eat well,” said Dr. Brown. 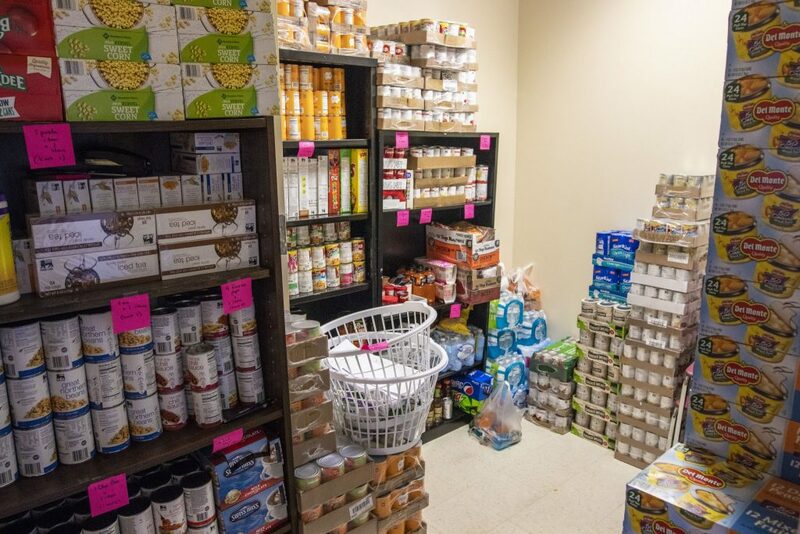 Aside from aiding students, the Viking Food Pantry efforts are also benefitting people in eastern North Carolina affected by food insecurity. Working with the Red Cross, ECSU donated over 1,000 pounds of food, according to Dr. Brown. According to Carolyn Self with the Albemarle Area Red Cross, more than 1,300 pounds of food were sent to the Food Bank of Central and Eastern North Carolina for distribution throughout the region. A letter sent to Self states that, thanks to donations from ECSU and the Pasquotank County area, 650,000 people in the region will be helped. Dr. Brown says the Viking Food Pantry continues to collect food for not only students, but also for others in the region who are designated food insecure. The Food Lion Feeds challenge runs through December and ECSU is ranked in the top four of schools raising donations. All participating schools are members of North Carolina Campus Compact. Winning schools can receive $10,000 for the most engagement and creativity on campus, and a second award of $10,000 will be awarded for the campus that collects the most food – adjusted for school size – in a food drive. If ECSU is awarded the prize, Dr. Brown says half of the money will be used on campus, and the other half will go to Food Bank of the Albemarle. The prize funds will support hunger-related initiatives such as campus-based food pantries, campus or community gardens, food recovery efforts modeled on the Campus Kitchen Project or the Food Recovery Network, and fresh produce distribution.